Part two of Thomas Pynchon's epic Against the Day begins with what remains my favorite section of the book so far--a mixture of H.P. Lovecraft's At the Mountains of Madness, John Carpenter's The Thing, and giant monster movies such as the original Godzilla or Cloverfield. Again, Pynchon makes no apologies for this crazed narrative, which will jump from this dark, apocalyptic opening to far more banal fare in the life of inspector Lews Basnight before moving back to the ongoing family history of the Traverse clan. As I stated in my posting about steampunk as pastiche, the supernatural is certainly part of the steampunk aesthetic, and "Iceland Spar" has many supernatural moments. The first, which I have already alluded to, is the result of the Vormance Expedition's journey to an Arctic location to find what they believe to be a meteorite and dig it up. The Chums of Chance arrive in what would be the nick of time, if only the Vormance Expedition were interested in heeding warnings. As they are not, to quote Kurt Russell as MacReady in The Thing, "They dig it up, they cart it back... Somehow it gets thawed, it wakes up, probaly not the best of moods, and..." I won't say exactly what happens once the thing in the ice wakes up on the shore of what is likely New York, except to say that I'm not lightly invoking giant monster movies as a comparison. Pynchon builds to this arrival in New York with wonderful tension, having the Chums "just" miss "intercepting the Expedition steamer" (125) while the expedition passes through a landscape which, while likely beautiful, is described with words to convey a growing unease. The sun comes up "a baleful smear in the sky, not quite shapeless" (134), and icefields seems to have a "conscious malevolence" (136). When the Chums arrive, Chick Counterfly (now Dr. Chick Counterfly, the Inconvenience's Scientific Officer) warns the expedition they are in "mortal danger" (139), before demonstrating that there is something sentient and very likely malevolent in the place the Expedition plans to dig: Pynchon describes it in increasing detail, beginning with a "blurry condusion of a strange yellowish green, in which ares of light and dark moved in a squirming restlessness" until clarity emerges, and a Figure (capitalized in the text) can be seen, whose eyes "for the most part, if eyes be what they were, remained open, its gaze as yet undirected--though we were bound in a common terror of that moment at which it might become aware of our interest and smoothly pivot its awful head to stare us full in the face" (141). Pynchon also employs a first person narrator throughout much of this section, another likely nod to Lovecraft. He ends this portion in a highly Lovecraftian fashion as well: ambiguity marks the outcome of the Figure's arrival in the United States. Pynchon raises the narrative to an apocalyptic fever pitch, and then drops the narrative thread entirely to return to Lew Basnight, who is in pursuit of a notorious outlaw who turns out to be Webb Traverse. The reader is literally tossed out of end-of-the-world-hellfire into what develops into an honest-to-goodness Western family epic, complete with chases, revenge, and a plethora of saloons. 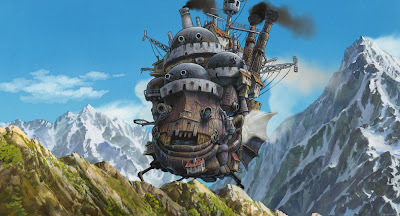 Because the story of Webb Traverse and his family doesn't concern the steampunk aspects of Against the Day all that much, I will leave off a lengthy discussion of that portion of the book. Additionally, it would spoil the reading of it to know details. Imagine "The Waltons" mixed with "The Daltons" and you get some idea of what Pynchon does with Traverse and his family. It's a sprawling family epic, which again, as was the case in part one, maintains a level of irony without becoming derogatory parody. There is a satirical edge, but since the best satire is also homage, Pynchon clearly displays his love for one of the great American literature genres: the Western. This passage references a number of themes explored in "Iceland Spar." The nature of duality is one of the major themes, given that Iceland Spar, a type of Calcite, produces a refractory image of whatever is gazed at through it, with implications that used correctly, could produce doubles, or the ability to travel time, or step into alternate universes. As I read this passage, I even found myself wondering if there was any actual connection between the universe the Chums inhabit, and the one where Reef is reading about their exploits. Like Pan's Labyrinth, the text is ambiguous enough to allow for both the possibility that the Chums are actually fictional characters, or that they are real denizens of the world Reef Traverse inhabits. The text plays with both concepts. The world of Reef Traverse is real and gritty, while the world of the Chums is one of high adventure and wild speculative inventions and journeys. Yet both these worlds are tied together through the network of characters: Lews Basnight, who was aboard the Inconvenience with the Chums, pursues Webb Traverse, while Professor Vanderjuice, the Chums' onetime mentor, deals with Scarsdale Vibe, who eventually hires Kitt Traverse, whose life is once again, as with his brother Reef, real and gritty. Yet despite inhabiting the same universe, the Chums remain somehow more fictional than Reef or his family, almost aware of the fact that they inhabit a novel. In part 1, the "exact degree of fictitiousness" possessed by the Chicago Fair is what permits "the boys access and agency" while the "harsh nonfiction world waited outside the White City's limits" (36). Later on, while engaged in a digression away from their lives as an airship crew, they sojourn at Candlebrow U., where "the crew of the Inconvenience would find exactly the mixture of nostalgia and amnesia to provide them a reasonable counterfeit of the Timeless" (406). Their time as part of the Harmonica Band makes the Chums question whether they are indeed the Chums of Chance, or merely decoys posted on the ground to live out a quotidian existence, while the real Chums are off adventuring in the wild blue yonder. These passages could easily be brought into a sort of conversation with the performative, cos-play aspects of steampunk: the formation, not only of steampunk costume, but of steampunk identities as well. "What if they weren't harmonica players? really? If it was all just some elaborate hoax they'd chosen to play on themselves, to keep distracted from a reality too frightening to receive the vast undiscriminating light of the Sky..." (422). The Chums experience an inversion of the steampunk costumer - they digress from their real world to become harmonica players. They move from the fantastic to the quotidian, while the steampunk costumer wants to move from the quotidian to the fantastic. Finally, they break free of their stupor and begin venturing off the Candlebrow U. campus, venturing to nearby towns. It is this very act of venturing beyond borders, going outside the pale which restores them as the crew of the Inconvenience (424). Once again, the Chums bookend the section, opening it to warn the Vormance Description, and closing it with their return to the Inconvenience and the beginning of an adventure beneath desert sands. And yes, it is just as ludicrous as it sounds. Every time I think the Traverse narrative has taken the book too far afield of the steampunk aesthetic, Pynchon brings the Chums in, and all reality takes a nosedive. Returning to the element of the supernatural or fantastic, the second part is also concerned largely with spiritualism. 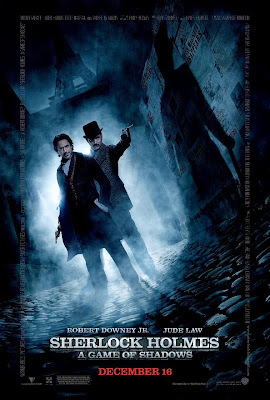 After nearly being killed in his pursuit of his notorious outlaw prey, Lews Basnight journeys to England, where he becomes associated with a group of spiritualists called "T.W.I.T., or True Worshippers of the Ineffable Tractys" (219). In addition to a lot of hokey spiritualist practices, there are a number of conversations dealing with the metaphysical. In one of these, the idea of the counterfactual or alternate history is explored in a conversation concerning possible worlds. This is one of many discussions on the nature of time (linear vs. cyclical) and Time Travel. It becomes increasingly difficult as I read further into the novel to dismiss the idea that Pynchon might not be writing a steampunk novel, he's certainly writing about things which concern steampunk writers, and further, engaging in the steampunk aesthetic over and over again. The level of artifice and contrivance apparent in Against the Day seems to preclude the possibility that it's just a coincidence that Pynchon released this book at the same time as steampunk's resurgence. From a completely biased, un-academic viewpoint, it continues to be a delightful rollercoaster narrative, and I'm enjoying it immensely. I am curious to see if Pynchon follows up the Vormance Expedition storyline later in the book. With another three sections and around 600 pages remaining, it's entirely possible. And as you may have surmised from this blog post, in Against the Day, anything is entirely possible. 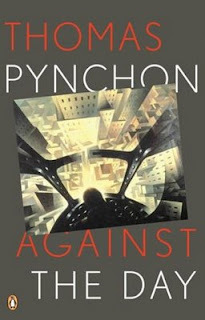 The Chumps of Choice is a fantastically detailed blog devoted to Against the Day, with superior annotations and ruminations to those at the Pynchon wiki (in my opinion, at any rate).